Imax is to sell 20% of its China business to two Chinese-based entities in return for USD $80 million and a firmer foot hold in the world’s soon-to-be largest cinema market. Not only will this allow for expansion in China, but Imax must also be hoping to neutralise the nascent threat from CFGS – though this is not mentioned in the above article. USA (LV): Lasers are coming! 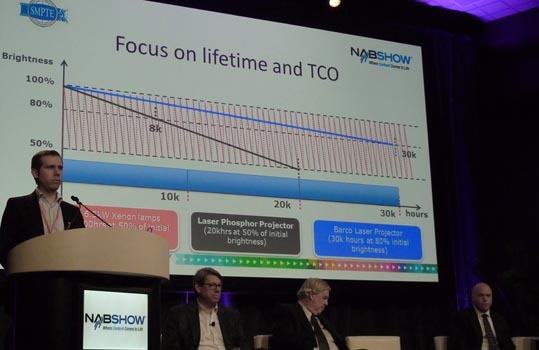 This follow-up article from David Keene provides excellent insights from the pre-NAB Cinema Summit on what is happening on the laser front. The first shots were fired on Saturday, in the session “Laser Illuminated Projectors: What’s New and When Will They Arrive? Bill Beck, President of BTM Consulting moderated panelists Pete Ludé, CTO of Mission Rock Digital; Goran Stojmenovik , Product Manager Laser Projection, Barco; Richard McPherson of NEC Display Solutions; and Don Shaw, Senior Director of Product Management for Entertainment Solutions at Christie. You Will Be Amazed To Find Out What The Differences Between The Different Laser Projector Solutions Are! India: Art-house cinema is a tough proposition in India, but is being tried in a private-events context with the launch of PVR Screening Room series, starting with The Grand Budapest Hotel. The idea behind the elite film club is to “showcase hidden gems, films that wouldn’t otherwise come to India, nothing too arty”, said Ajay Bijli, chairman and managing director of PVR Ltd. “A lot of my friends who are discerning movie-goers have always wanted a club or an activity like this, where people get to watch a film, talk about it afterwards, and socialize,” added Bijli, who founded the company with his brother, Sanjeev, in 1995, and set up India’s first multiplex in Delhi’s Saket neighbourhood. 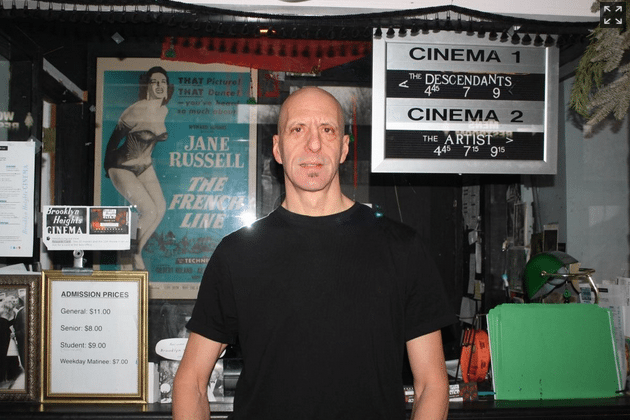 USA (NY): The Brooklyn Heights cinema has succeeded with its campaign to raise enough money to go digital – but will they get to keep their lease? Donations have poured in over the past six weeks, surpassing the $30,000 goal a week ago and cresting $32,000 as the campaign neared its midnight cutoff on Monday. 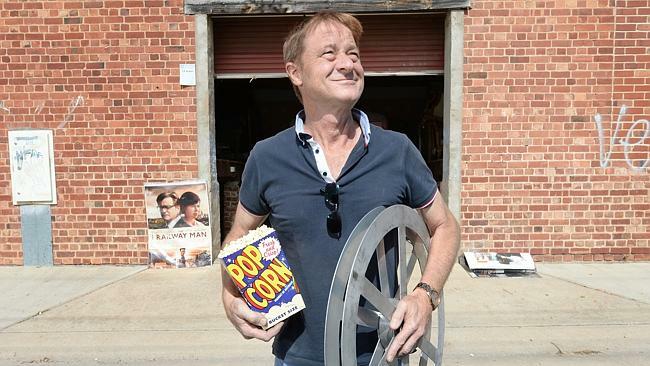 Australia: An entrepreneurial small cinema operator in Newcastle’s Birmingham Garden is now playing Hindi films in his cinema. So whilst working on the Regal restoration I was thinking, who else could the Regal reach out too? We have ever-growing diverse cultural communities in our midst here in Newcastle. How can we invite them into the community of the Regal cinema? Three weeks ago I met Dr Vikrant Kishore who works at the University of Newcastle in Media Production and Communication. Vikrant’s research areas are among other things Bollywood and Indian cinema and folk dance culture. It was a perfect fit and we started collaborating immediately. Vikrant told me Bollywood films currently attract larger audiences than Hollywood films in the international arena. Australia: Another example of Cinema Can-Do Down Under. This cinema operator is building a fourth screen in a space he didn’t even know he had! India: A look at how e-cinema is saving cinemas in parts of India, with some unexpected benefits. This one south-east of Hyderabad. “We are now able to screen films on time through digital technology. 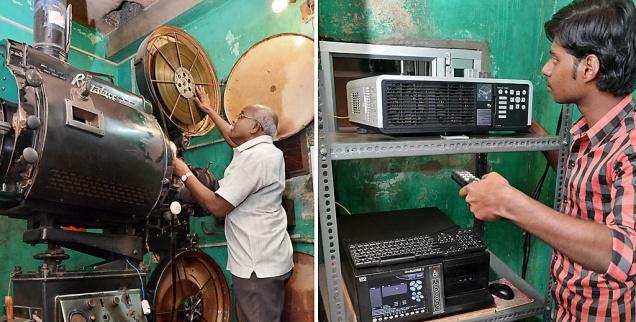 The problem of bringing the reel from far-off places on two-wheelers and getting stuck in traffic are also solved,” says Ramakrishna theatre manager Venkateswara Rao alias Nani. He does not elaborate what sort of health problems. Tanzania: Conflicting but troubling reports about the impact and (mis)use of cinemas (often just video halls) in one African country. Despite the fact that cinemas were used to provide education especially health tips to rural community back in the 1990s, the business has sharply changed. With a growing movement of rural cinema, such a business has gone beyond providing films locally. Chanika one of the twenty five wards in Ilala district, Dar es Salaam represent thousands of rural communities with cinema hall at least at every busy centre. Residents are now admitting that such centre (cinema) has contributed a lot to cultural change amongst their children. More worrying, there are accusations of sexual abuse having taken place in some of these cinemas. Euromax (euromax.org), the European Association for giant screen, specialty and institutional documentary films, has announced its 2014 annual meeting, which will be held at Omniversum, Den Haag (The Netherlands), May 21-24. This year’s industry event will be hosted in parallel to the European Network of Science Centers and Museums (ECSITE) annual conference (ecsite.eu) in collaboration with the International Giant Screen Cinema Association (GSCA). India: Imax and Luxe together in the same multiplex? I guess someone at Sathyam didn’t get the memo that Luxe is RealD’s premium large format cinema brand. What’s so special on April 14? If your answer is Tamil New Year’s Day, then you are partly right. 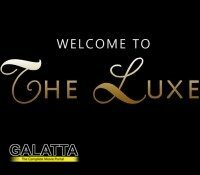 Another exciting news that is on your way is that Sathyam Luxe in Phoenix Market City will be open to the public from April 14. Luxe Cinemas has 10 high-end screens along with one 1 IMAX screen. However, we have not heard about the IMAX screen opening yet. The theatre will be open with all the new releases for the season. Australia/UK: A cleaver cinema advertising stunt from British Airway, connecting families in the UK and Oz. Three years ago Esme’s family emigrated to start a new life in Australia, where Esme “loves everything” and has just one thing missing from her life. Her grandparents. USA (TX): One of the first customer’s of Christie’s new sound solution has been announced. Christie®, a dominant brand in the digital cinema projection market, today announced that Cinemark Theatres has installed the Christie Vive Audio™ cinema sound system in its state-of-the-art Cinemark XD: Extreme Digital Cinema auditorium at the Cinemark StarCreek 16 in Allen, Texas. USA (TX): A major cinema plan has been revealed for downtown Dallas, as part of the previously announced Victory Park office development. Even bigger news is the plan for a 59,000 square foot cinema in the proposed building. That would be about 75 percent larger than the Angelika theater at Dallas’ Mockingbird Station. A movie theater- along with a grocery store – is one of the retail features Dallas residents most often mention as what they want in the downtown area. UK: This lovely little art-deco former cinema will at least have its facade restored, even if it won’t be used for screenings. 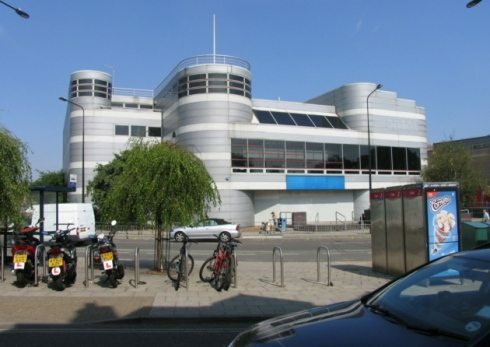 Total Security Services (TSS) and Loughton-based architecture firm, Clear Architects, have invited the public to the event on April 16, between 4pm and 7pm, at the foyer to The Regal in Hale End, Highams Park. UK: Bedford is to get its second major cinema – a Vue – as part of Riverside North redevelopment. A SEVEN screen Vue cinema, a Chimichanga and Zizis are just some of the restaurants which are set to come to Riverside North according to developers. USA (KY): Malco has completed renovation work on its recently acquired cinema in Kentucky. Malco Theaters said the Winchester, Ky., cinema renovation has been completed. Memphis-based Malco Theatres, which opened in 1915, recently acquired the cinema. The company operates 330 screens at 32 Mid-South locations, and bowling centers in Louisiana. Malco also recently opened the Olive Branch Cinema in Olive Branch, Miss., and renovated Ridgeway Cinema Grill in Memphis and Forest Hill Cinema in Germantown. 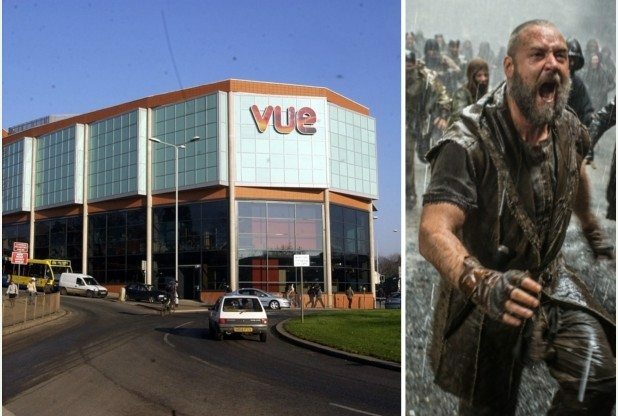 UK: Could Cineworld and Vue be about to go head-to-head in Ipswich? Or is Vue looking to ditch its planned Buttermarket mall plans? Plot thickens surrounding sale of an old Odeon cinema. The Odeon building was sold at auction in early February for £530,000 – but the identity of the new owner has remained a mystery and the ownership of the building has still not been recorded by the Land Registry. However property experts in the town understand that its new owner is connected to a growing cinema chain in the country. The first screening of Noah had to be cancelled in Vue’s Exeter cinema – because of flooding. Those wanting to attend the first viewing of the latest blockbuster at Vue cinema in Exeter on Friday could have been forgiven for thinking they got a little closer to the action than anticipated. Staff discovered the excess water when they arrived for work just after 7am. The venue had to close to the public until 2pm – meaning the first showing of Noah at 12.15pm had to be cancelled. A long and loving article details what became of the small and single-screen cinemas in St Paul (MN) after they stopped being cinemas. Just two remain in their original avatar. 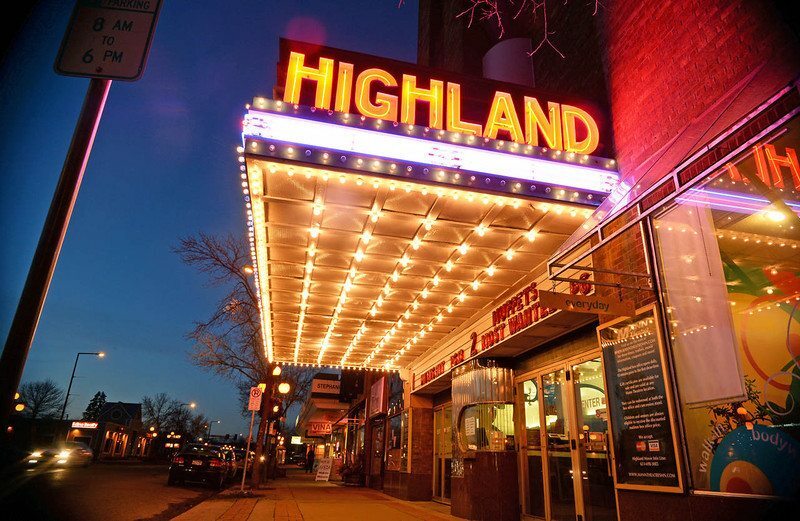 Silent theaters, one-room movie houses and vaudeville stages once dotted St. Paul’s neighborhoods, drawing residents from across the city. In fact, they still do. The uses are mostly different, but in many cases, the boxy, two-story buildings that were home to Charlie Chaplin-like live routines or early black-and-white “talkies” remain intact, at least on the outside. A few still host movies or live performances, and ongoing campaigns seek to revive and reinvent the old Orpheum Theater in downtown St. Paul and the Victoria Theater on University Avenue as performance halls. But most of St. Paul’s surviving theaters have wandered into a new century under far different auspices. Built in 1930, the Capitol Theater at 1077 Payne Ave. now houses ABC Mental Health Therapy, a nonprofit provider of individual and group therapy that moved in four years ago.